Feed silos | Polnet Sp. z o.o. Silos can be seen on nearly all breeding and agricultural farms. They are used by large, as well as medium sized enterprises. Silos can be used to easily and quickly unload contents. They also serve the purpose of storing various loose materials. The offer of the Polnet company includes feed silos of the highest quality. Wee encourage you to become acquainted with our products. They will certainly meet the needs of your farm. The diameter corresponds to the capability of storing loose materials. 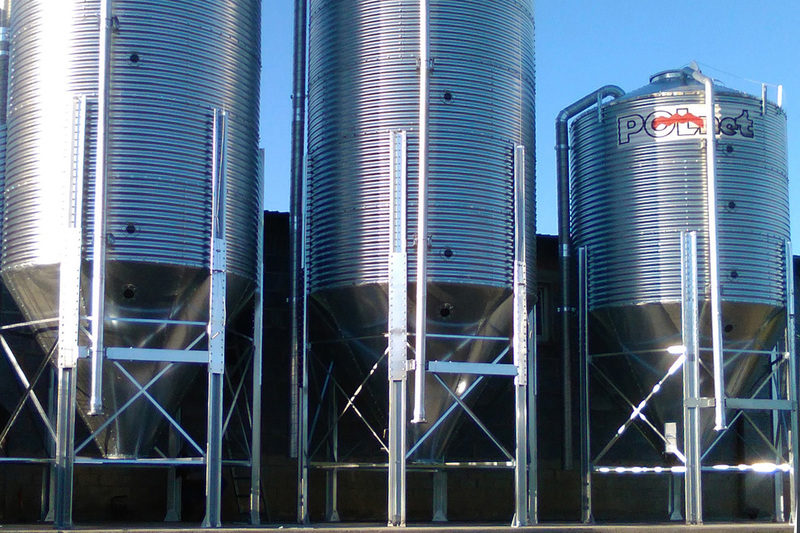 After selecting a specific size, one can specify the capacity of the silo. Every container model has from 3 to 7 versions, which determine their capacity and total weight of the silos. The smallest product holds 2,8 t of feed, while the largest up to 49,5 t. There are as many as 25 possible combinations available. That way, a feed silo can be chosen exactly in accordance with one’s requirements. The bottom funnel is angled at 60° and has a diameter of 440 mm. It is adapted to connect to all types of spiral, screw and chain-wheel conveyors. In the production of our silos we use high-grade S250GD corrugated sheet metal. It provides increased structural durability and easy assembly. Precision in detail manufacturing is also important to quick erection of the structure at the designated location. Feed silos are also resistant to corrosion. Thus, they maintain proper hygiene of the materials stored within. 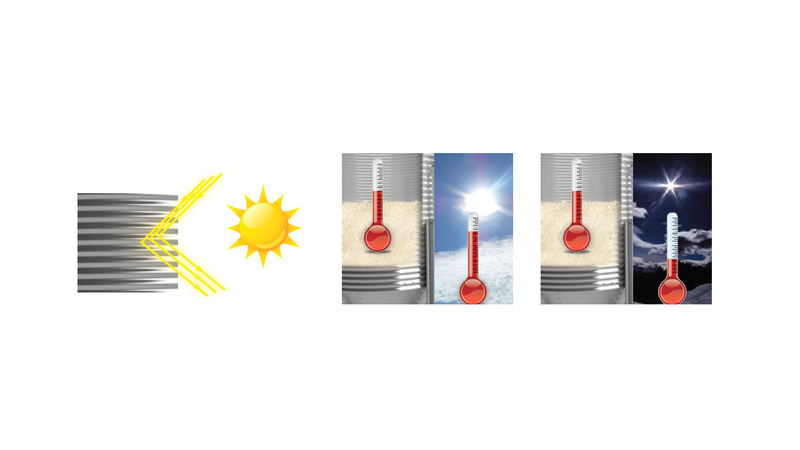 Corrugated sheet metal affects the maintenance of a stable temperature regardless of the conditions, which prevents spoiling the feed. In order to ensure long-term exploitation, we have decided to zinc plate the steel to a higher degree than compared to competitive solutions. Zinc plating at a level of 350 g/m² is a guarantee of the same sheet metal quality and appearance even after 6 years of intense usage. This time may be significantly extended, if the silo is used and maintained properly. It is worth noting the exceptional resistance of feed containers to mechanical damage. Impact, abrasion and other accidental damage does not affect the structure. This ensures safe silo usage without having to worry about structural degradation. As a responsible feed storage silo manufacturer we have signed an EC declaration of conformity. This means that all the machines we own and products we provide meet the established Polish (Resolution by the Minister of Economy of 2008) and European norms (EU Resolution of 2006). This in particular includes norm PN-EN 617+A1:2011, which relates to devices for bulk material storage in silos, reservoirs, containers and self-unloading funnels. 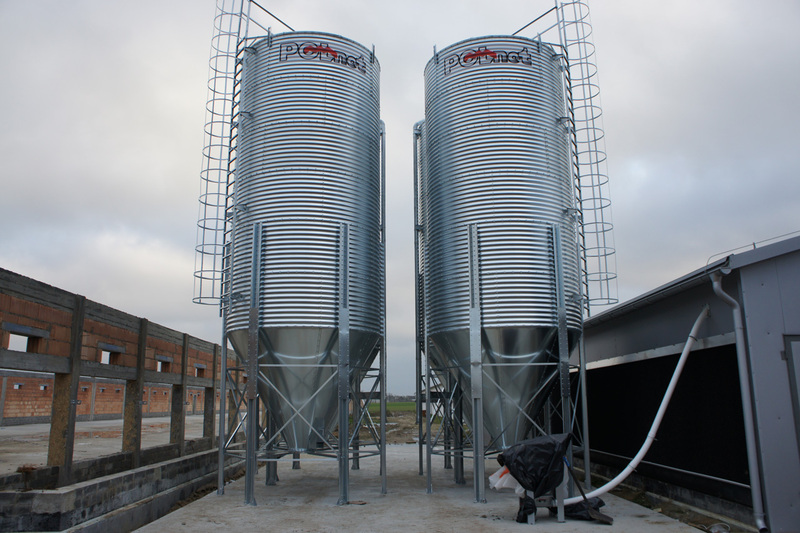 Using world class machines we are able to manufacture feed silos adapted to modern standards. They also meet the expectations of customer with differing preferences. We are, however, able to expand the functionality of containers with additional options, such as: side unloading chute, manual slider hatch and set under the silo responsible for user comfort and adaptation to the farm’s needs. For additional silo protection, it is worthwhile to equip it with a rain cover, while a strain gauge humidification system will enable better control of the conditions inside the silo. – rocker based system for opening the silo’s upper hatch from the ground. We also provide containers with bottom funnels at an angle of 67°. We encourage you to contact us via telephone or e-mail. We will gladly answer any questions regarding price quotations and performance times, as well as any other issues which may interest you. We also offer professional consulting and an efficiently functioning service.